I cannot remember when I discovered Pinterest, but I do know that I was hooked for a whole week. Any person that is addicted visually, meaning they love images about almost any topic, they will love Pinterest. Today I have well over 200 boards, but two weeks ago I felt the need to update the boards that I created for my P.O.D designs, my community boards and the boards about books and anything to do with books, writing and authors. I wanted to create banners for my boards that showed my new logo. I found that by doing this I became more organized about what goes where. This was my very first banner. I have divided my abstract designs into four categories. Abstract Designs & Patterns – Abstract graphic designs and repeated patterns look great on many P.O.D products as anyone can see. 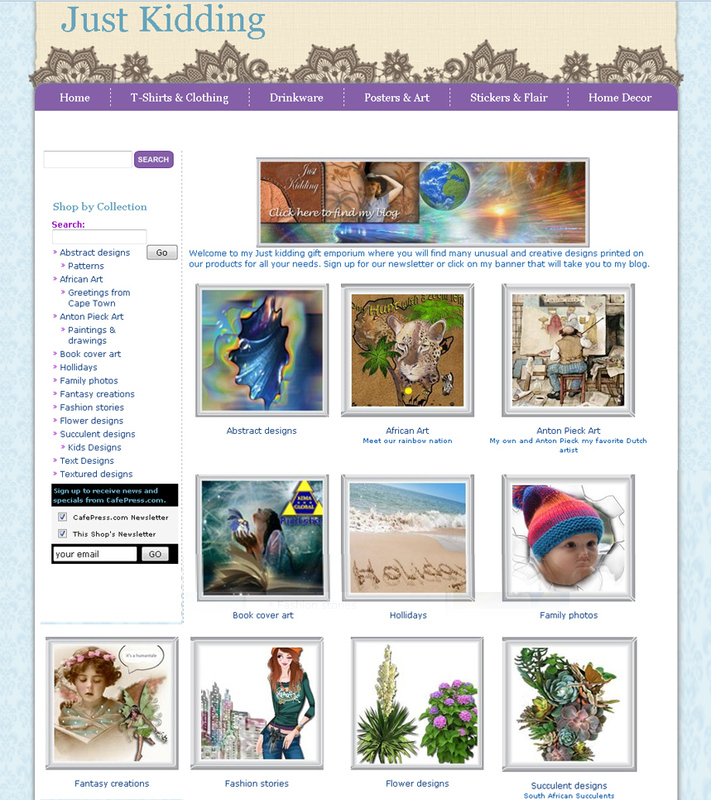 Abstract Fantasy – Abstract computer designs that become a fantasy genre like the cartoon baby dolphin or any other creature or flower appearance. Abstract Fractal Fantasy – Fractal fantasy designs show a surprising result on products every time. Abstract Party designs – Looking for a original modern party design on any kind of product like: clothes,shoes,home decor,accessories for man,woman & children. Or art decor for your wall, these abstract party designs will blow your mind. 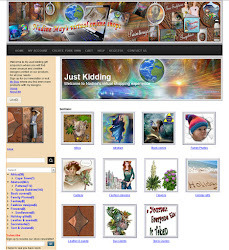 It was the Artsadd website layout that inspired me to create design topics. It did take some time to add my designs on the fashion girls, but when i looked at my Pinterest page from my computer, It looked good to me. If this is a good strategy from a marketing point of view, that I do not know but It works for me. This is what my Pinterest board looks like so far. I still have some banners to do on my own subject designs, but I was eager to create banners for my own community boards. Community boards which are are boards where other Pinterest friends can add their own (in this case ) designs on the 18 product boards (three rows) that fit neatly on my computer screen. ( see my screenshot) I know that that might not be the case with different laptops or tablets…but for me it was an easy overview of what others will post and which boards they post on. It’s not always easy to find my P.O.D designer friends, many of whom I know from Facebook groups, on Pinterest, because some use a different name. How easy is this for the rest of the public who might be looking for a gift, a T shirt or any product that we all advertise on Pinterest? I will probably never really know or find out, but I’m glad I have gone this route. For me it has already shown me which subject design I need to work on. Like my personal art photos. I have so many more oil paintings and leather wail-hangings I could prepare for the larger P.O.D shops like Zazzle, Society6, Redbubble , Artsadd and Cafepress. Many designers buy their own designed product, but for me that happened only once. I ordered a pillow from Society6 that had a photo of my from garden with our Siamese on it when they had a the free shipping offer. I wanted to find out what the printing quality was like. 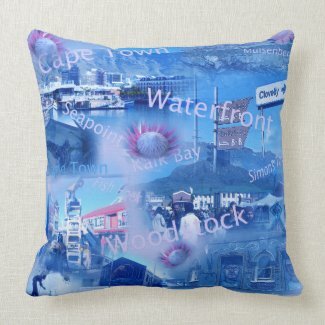 It came on the date they told me and my pillow is now decorating my lounge. The printing was excellent and I love the fabric they used. Due to our unfavorable currency rates and the cost of shipping to Cape Town, for now I have to earn in royalties before i can order more of my own products that have my designs on. Now I wanted to create banners for the P.O.D shops I design for. Just in case a visitor to my Pinterest page is a regular online shopper on one or more of these websites. I stopped at two rows. I was amazed that i have spread myself globally as a product designer. I used the banner that was created for my Facebook fan page. Sharing our latest designs on Pinterest boards and on the many Facebook group pages can sometimes take me a full day; not to mention promoting new work on Google+, LinkedIn, Twitter and Instagram to name a few more networks. Marketing has added a whole new workload to my day. Once you start with an idea, time seems to fly past. I have not created any new designs or have not written any more chapters to my sequel novel : The Self Employed Housewife, or carried on with my novel Parallel Worlds. Instead I started creating banners for my book topic boards on Pinterest. There are a lot more boards that I need to see to. Some were created long ago, and some can merge together, depending on the followers. I do hope that my post on the marketing on Pinterest has inspired my readers. I also blogged about new Pinterest boards I made and other can make since they are generic to any niche. Pinterest is my favorite site to write about. Glad to have found another Pinterest fan. Thanks for your reading my post and I’m glad you liked it. 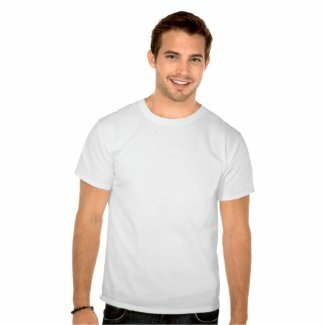 Pinterst is a great way to promote yourself. Have you participated in any paid for advertisement on Pin? Ho Susan No I have never paid for any advertising and have no intention doing so. I love Pinterest.